1. What impression do we get of David in the first five verses? 2. What do we learn about Bathsheba? 4. What was David’s first sin in this chapter? How did he compound sin upon sin? What could he have done differently at each step? 5. How did David seek to deceive others? 6. Who else was harmed by David’s sin? 7. What does this chapter teach about temptation, power, sin and deceit? 1. Why did Nathan begin with a story? 2. How did David’s reaction condemn him? 3. What were the consequences of his sin? Why? 4. How did David respond to the prophesy? 5. How did God show His mercy in the midst of His judgement? 6. Read Psalm 51, written by David in response to the revealing of his sin. 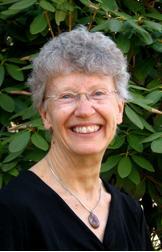 What can it teach us about repentance and mercy? 7. How were David and Bathsheba remembered? 8. What can we learn from David and Bathsheba? 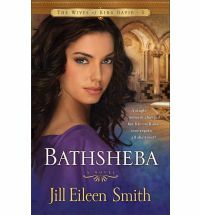 Narelle: I really enjoyed Jill Eileen Smith’s fictionalised account of Bathsheba’s story. The story opens with Bathsheba’s struggle to overcome loneliness and disappointment over not providing an heir for her husband, Uriah. Uriah was one of King David’s mighty men who was often away at war, and Bathsheba didn’t have children to distract her from missing her absent warrior husband. We journey with Bathsheba as she makes choices that will ultimately have devastating and deadly consequences. We also gain an insight into both King David and Bathsheba’s faith and relationship with God. We meet two people who, despite loving the Lord, are human and flawed like the rest of us. 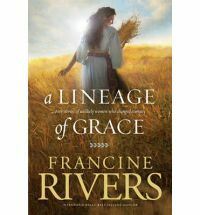 I recommend this book to those looking for a fascinating and insightful Biblical fiction story. Narelle here. Today we are giving away free eBook copies of the leaders guide for our August Featured Studies of the Month. Narelle: Francine Rivers creates a fictionalised back story for David and Bathsheba, starting during David’s years in the wilderness before he became king, that sets off a chain of events leading to their infamous encounter at the palace. We know how the story will end and the intriguing fictional set up brings the characters alive on the page. I loved the emotional intensity in the story as we journey with Bathsheba and gain an understanding of the decisions she made and the consequences that followed. I recommend this novella to those looking for a story about real people who make mistakes and struggle with their faith in the face of temptation. King David appointed his son, Solomon, to rule as the king of Israel after his death. God blessed Solomon and answered his request in 1 Kings 3 by giving Solomon great wisdom and a discerning heart. Solomon became famous for his wisdom and people from faraway lands travelled to see him, including the Queen of Sheba. King Solomon built the temple in Jerusalem and the royal palace. Israel prospered under his leadership. In 1 Kings 9 the Lord appeared to Solomon and reminded him of the importance of obeying the Lord and keeping the covenant. God said that if Solomon or his sons turned away from the Lord or worshiped other Gods, they would lose the covenant blessings including the land given to them by the Lord. Solomon’s downfall was his love for foreign women. “He had seven hundred wives of royal birth and three hundred concubines, and his wives led him astray. As Solomon grew older, his wives turned his heart after other gods, and his heart was not fully devoted to the Lord his God, as the heart of David his father had been. ” 1 Kings 11:3-4. Solomon did evil in the eyes of the Lord and his idolatrous worship angered the Lord. He built shrines for the Moab god, Chemosh, the Ammonite god, Molech, and the other gods who his wives worshiped and offered sacrifices on their altars. Although his father David was far from perfect and committed many sins, David was also repentant and didn’t worship idols. “So the Lord said to Solomon, ‘Since this is your attitude and you have not kept my covenant and my decrees, which I commanded you, I will most certainly tear the kingdom away from you and give it to one of your subordinates. Nevertheless, for the sake of David your father, I will not do it during your lifetime. I will tear it out of the hand of your son. Yet I will not tear the whole kingdom from him, but will give him one tribe for the sake of David my servant and for the sake of Jerusalem, which I have chosen.’” 1 Kings 11:11-13. After Solomon’s death in 930BC, the kingdom of Israel was split into the Northern Kingdom (Israel) and the Southern Kingdom (Judah). The Southern Kingdom kept the line of David intact and included the holy city of Jerusalem. The Assyrians conquered the Northern Kingdom in 722BC. The Southern Kingdom was conquered in 586BC and the people were taken into exile by the Babylonians.